"It would seem to be completely describably by its direction (velocity), frequency (energy, wavelength, color), and spin (polarization). The photon can then be considered synonomous with a few numbers." First of all, velocity and frequency are not really quantum mechanical ideas, so you can't use them to specify the state of a single photon. The only way to define velocity is to take the average measured positions of all particles in a large statistical ensemble and then take the time derivative of that average. Similarly, frequency is a concept that only really applies to classical electromagnetic waves, so if you want to define frequency, you need to look at a beam of photons and take expectation values. Moreover, you can't completely specify the state of a photon with just a few numbers. The most complete description of a photon is its wavefunction which is not a finite collection of numbers but an element of an infinite-dimensional Hilbert space. "Now suppose you have two entangled photons that are emitted in some process that assures that they are equal and opposite. So they frequencies are the same and their velocities and spins are opposite." Photons are spin-1 particles, so there are three spin eigenstates, and it makes no sense to say that two photons have opposite spin. You should really be talking about electrons, which are spin-1/2. I suppose you could also say that the photons are entangled so that they have orthogonal polarizations. Also, as I said before, frequency is not part of the quantum mechanical description of a photon. This is a minor point, but something to be aware of. "But there is no physical nonlocality. There is nothing that you can do to one photon that will have any physical effect on the other photon. The apparent nonlocality is just an artifact of the mathematical models." Physics is local in the sense that you can't have signals propagating faster than light, but your statement that there is no physical nonlocality in any sense is simply wrong. You can do an experiment like the one you're describing, and you will find that the outcome of a measurement is indeed consistent with the outcome of a measurement of an entangled partner. This is an empirical fact, not an artifact of some mathematical model. The mathematics of quantum mechanics correctly predicts the outcomes of every experiment we've come up with. "The uncertainty principle says that you cannot measure the position and momentum of a particle at the same time." This is a completely incorrect formulation of the uncertainty principle. It's very easy to measure position and momentum at the same time. The uncertainty principle just says that we can't determine the position and momentum simultaneously to arbitrary precision, and the more precisely you know one of these quantities the less precisely you know the other. "A particle cannot be defined by its position and momentum." Correct, the state of a quantum mechanical particle is not determined by these classical data but by a vector in an infinite-dimensional Hilbert space. That is the most complete description of the state of a quantum particle at a given time. The reason for the confusion in this sentence and throughout this post is that you're switching between classical and quantum descriptions of a particle. "The principle is a statement that physical reality does not match our mathematical descriptions." If you're saying that physical reality does not match the classical description of a particle, where the state of the particle is modeled as a point in position-momentum phase space, then I agree with you. 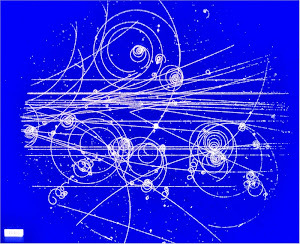 We've known for almost a century that the classical description of a particle is not exact. It's an approximation. The more correct mathematical description is in terms of Hilbert spaces and linear operators, and this description matches physical reality extremely well. "There are physicists who argue that the whole universe has a completely mathematical description. In fact we have no such description for even a single photon." You're saying that we can't describe a single photon in isolation because it may have an entangled partner. I agree with this. In fact, we can never describe a single particle in isolation because particles can be created from the vacuum, decay into multiple particles, and so on. The number of particles is not constant in relativistic quantum field theory, so obviously you can't expect to have a description of a single isolated particle at all times. This does not in any way imply that mathematics is incapable of describing nature. We have a very complete mathematical description of quantum fields. Yes, a photon pair certainly can have opposite spins. One can have a spin vector that is the result of a mirror-image operator applied to the other. All the same analysis applies to electrons, so think of electrons if you prefer. It is also possible to measure the velocity and frequency of an individual photon. It is not true that these concepts only apply to large statistical ensembles. A simple photon detector can be set up to only receive photons coming in a particular direction, and then measure the energy absorbed to deduce the frequency. There is no physical nonlocality that anyone has ever demonstrated. I guarantee you that there is a Nobel Prize waiting for you if you ever find one. Position and momentum are not just classical variables. They are also quantum observables. The quantum state has to be inferred from the observables. That quantum state is not known to match reality. Only the expectation values are known to match reality extremely well. You are conceding that there can be no complete mathematical description of an isolated particle, but you still argue that there can be such a description of a whole system of particles. I think you are conceding about half the argument. If isolated particles have no complete mathematical description, then will you agree that it is possible that complex systems do not either? "It is also possible to measure the velocity and frequency of an individual photon." Strictly speaking, a photon does not have a well defined position until you make a measurement, so you can't define its velocity in the usual way. Electromagnetic waves are the solutions of Maxwell's equations, which are the classical equations of motion for the electromagnetic field. 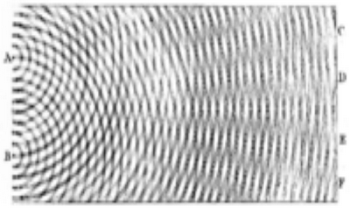 Since photons are the quanta of the electromagnetic field, they are not quite the same as classical electromagnetic waves. In order to define wavelength, you need to pass to the classical limit. Therefore you need to take the classical limit in order to define frequency. "There is no physical nonlocality that anyone has ever demonstrated." I'm not sure what you mean by this. As I said, you can do experiments with entangled particles, and you will find that any measurement of one particle will be consistent with the quantum mechanical prediction for its entangled partner. If you do the measurement with the particles separated by a large distance, you will get the same result. Is that not a form of nonlocality? "Position and momentum are not just classical variables. They are also quantum observables." I realize this, but you were talking about position and momentum in the classical sense, not the quantum sense. You were saying that the state of a particle is determined by two numbers (the position and momentum) and you were complaining that this small amount of data does not completely describe the physics. I'm saying that if you want to want a complete mathematical description of a particle, you really need the quantum description where the state of the particle is represented by an infinite-dimensional vector and the position and momentum are noncommuting operators. "That quantum state is not known to match reality. Only the expectation values are known to match reality extremely well." I prefer to formulate quantum mechanics in a different way so that wavefunctions do not play such a prominent role. I like to start with the postulate that the observable quantities (like position and momentum) form a noncommutative algebra. From an operational point of view, the "state" of the system is completely determined by the expectation values of all of its observables. In other words, if we prepare the system in a given state, measure the expectation value of one of its observables, and repeat this process for each of the observables, then the resulting collection of numbers is a complete description of the state of the system. If you think about this for a while, you can convince yourself that "states" of a system should correspond to functionals on the algebra of observables, where a functional maps an observable to its expectation value. You can then use the Gelfand-Naimark-Segal construction to recover the Hilbert space and wavefunction. When you think about things in this way, you realize that the wavefunction description of a quantum system is really equivalent to the expectation values of its observables. There's no difference. "I think you are conceding about half the argument. If isolated particles have no complete mathematical description, then will you agree that it is possible that complex systems do not either?" I'm not conceding half the argument. I'm saying that you are ignoring information which is necessary for determining the behavior of the particle. You can't view a particle in isolation and expect it's mathematical description to remain independent of all other particles in the universe. A particle is defined to be the minimum amount of excitation in a quantum field, and there are lots of other particles in the same field. The really fundamental objects that make up our world are quantum fields, and we do have a mathematical theory of these objects. This mathematical theory explains the behavior of more complex systems in the appropriate limit. There are mathematical models that are nonlocal and consistent with experiment. But there is no proof that measuring one particle ever has any effect on a distant particle. That is why I say that there is no physical nonlocality. The only reason for believing in nonlocality is based on an unwarranted faith in a mathematical model. Since you believe that field theory is what is most fundamental, and field theory is formulated with a locality constraint, so why would you believe in any nonlocality? It is prohibited by quantum field theory. You deny that a particle has velocity and frequency, but then you say its state is determined by its observables and their expectation values. But those observables do not commute and you cannot really measure those values and determine the state for some actual particle. As I see it, the quantum mechanics algebra you describe is a clever way of relating past observations to future observations, but it says very little about the underlying physical reality. "Since you believe that field theory is what is most fundamental, and field theory is formulated with a locality constraint, so why would you believe in any nonlocality?" Again, there is a very specific sense in which physics is local. The locality constraint in field theory says that you can't have particles propagating faster than light. But there may be other things that can go faster than light. For example, consider a fly in front of a movie projector. It casts a shadow on the movie screen, and the shadow moves around at a speed which depends on the motion of the fly and the distance between the projector and the screen. As you move the screen away, you can get the shadow to move faster and faster, and if you place the screen far enough from the projector, you can make the shadow move faster than light. Many physicists think that the nonlocality in quantum mechanics is similar to that. It's not a physical signal but something more like a shadow. If you're interested, this point is discussed in the last chapter of Griffiths' quantum mechanics textbook. "But those observables do not commute and you cannot really measure those values and determine the state for some actual particle." Let me explain more clearly what I was talking about. Let's say you prepare a particle in a box in its lowest energy (ground) state. Then you can measure the position of the particle to get some number. Then you prepare the system again in its ground state and repeat the measurement. You repeat this experiment many times and take the average of your measurements. This gives you the position expectation value of the system. Then you can repeat the whole procedure with a different observable (e.g. momentum). The noncommutativity of the observables is not a problem because after each measurement, you prepare the system in its original state. I am claiming that the numbers you obtain in this way encode the same information as the ground state wavefunction of the particle. If you'd like to learn more, the formulation of quantum mechanics that I'm implicitly describing here is the C*-algebraic formulation. It is described much more rigorously in the book by Strocchi. The relativity of simultaneity principle says that the same time not exist. Here can be sought the root of evil? Yes, shadows can go faster than light. But the fields in quantum field theory cannot go faster than light. And if the fields are the true underlying physical reality, then nothing physical can go faster than light, and no nonlocality can ever be observed. Measuring one particle cannot affect a distant particle because there is no way for any fields to get there in time. I agree that if you prepare an electron in its ground state, then you can measure it over and over again to learn everything about it. I guess I agree that an electron has a complete mathematical description in that case. "And if the fields are the true underlying physical reality, then nothing physical can go faster than light, and no nonlocality can ever be observed." It makes no difference if you view electrons as point particles or as fields. Both descriptions are based on the laws of quantum mechanics, and neither one involves a signal being transferred between the measuring devices. "I guess I agree that an electron has a complete mathematical description in that case." To be clear, let me also say that this does not depend on the particle being in the ground state. You could do the same measurements for any state of the particle. If an electron is in the ground state (of some reasonable potential well), then you can prepare the system, mess it up with a measurement, and re-create the original system. Thus multiple measurements can specify the state. But if the eletron is in a more complex state and not in the ground state, it is usually impossible to re-create its state, and thus hopeless to specify the state.